Statistical analysis is a crucial step in all experimental studies, including sport sciences, because inappropriate analysis can lead to erroneous assumptions of performed experiments. Statistical analyses of the training-related data are required to make the training process more efficient. The analyses of various parameters are performed in repeated cycles, requiring appropriate statistical tests. STATISTICA software (version 10) offers a Friedman test for non-parametric analyses of more than 2 groups of repeated measures (which often takes place). Unfortunately, there is no post hoc test to verify which groups decide of the statistical significance of the results. The solution to this problem may lie in the normalization of the data with one of the most popular logarithmic transformations. It allows performing multiple comparisons for the 1-way ANOVA with repeated measures, as well as appropriate post hoc test to precisely determine which group of data is responsible for the statistical significance of the differences. 1. Bajpeyi S., Reed M.A., Molskness S., Newton C., Tanner C.J., McCartney J.S., Houmard J.A.. Effect of short-term exercise training on intramyocellular lipid content. Appl. Physiol. Nutr. Metab. 2012;37(5):822-828. 3. Ferrauti A., Weber K., Striider H.K.. Effects of tennis training on lipid metabolism and lipoproteins in recreational players. Br. J. Sports Med. 1997;31(4):322-327. 5. Levin J.R., Serlin R.C., Seaman MA. A controlled, powerful multiple-comparison strategy for several situations. Psychol. Bull. 1994;115(1):153-159. 6. Manna I., Khanna G.L., Chandra Dhara P. Effect of training on physiological and biochemical variables of soccer players of different age groups. Asian J. Sports Med. 2010;1(1):5-22. 7. Mena P., Maynar M., Campillo J.E. Changes in plasma enzyme activities in professional racing cyclists. Br. J. Sports Med. 1996;30(2):122-124. 8. 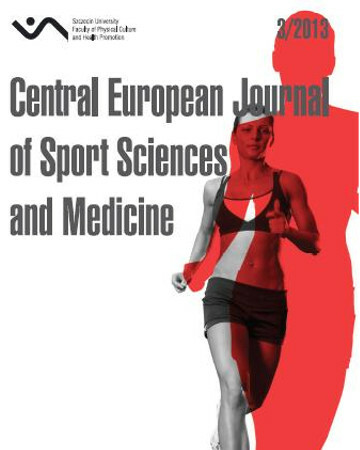 Pérusse L., Collier G., Gagnon J., Leon A.S., Rao D.C., Skinner J.S., Wilmore J.H., Nadeau A., Zimmet P.Z., Bouchard C. Acute and chronic effects of exercise on leptin levels in humans. J. Appl. Physiol. 1997;83(1):5-10. 9. Stanisz A. Podstawy statystyki dla prowadzących badania naukowe. Odcinek 10: Testy istotnych różnic dla prób zależnych [in Polish]. Medycyna Praktyczna. 1999a;7:207-209. 10. Stanisz A. Podstawy statystyki dla prowadzących badania naukowe. Odcinek 12: Testy nieparametryczne - cz. II [in Polish]. Medycyna Praktyczna. 1999b;10:167-169. 11. Stanisz A. Podstawy statystyki dla prowadzących badania naukowe. Odcinek 16: Analiza wariancji - testy po fakcie [in Polish]. Medycyna Praktyczna. 2000a;4:159-162. 12. Stanisz A. Podstawy statystyki dla prowadzących badania naukowe. Odcinek 18: Pomiary powtarzane [in Polish]. Medycyna Praktyczna. 2000b;6:160-165. 13. Stanisz A. Podstawy statystyki dla prowadzących badania naukowe. Odcinek 20: ANOVA nieparametryczna [in Polish]. Medycyna Praktyczna. 2000c;9:166-168. 14. Watała C. Transformacja danych - sposoby normalizacji rozkładu. In: Biostatystyka - wykorzystanie metod statystycznych w pracy badawczej w naukach biomedycznych [in Polish]. Alfa Medica Press. Bielsko-Biała 2002: 97-100.